What in the WORLD happened to my Pinterest traffic??? Something BIG happened, folks… BIG. Let’s talk about what happened. Pinterest is a powerful force with or without Google. As an online marketer, that is a HUGE resource of targeted traffic for many, many bloggers and e-commerce sites. When it comes to all the magical traffic bloggers can get from Pinterest, I have noticed the majority of Pinterest Marketers have focused on the INTERNAL traffic from Pinterest (ie, from logged in users). Where the REAL magic of Pinterest traffic came from is NOT the INTERNAL traffic from those 200 million monthly Pinterest users…. it’s from that little search engine called Google. Personally, I think the Pinterest folks should send a HUGE gift basket to Google for helping them build that massive user-base they now have. I’ve been watching Pinterest for a good while now – and anyone that has gone through my “P.I.M.P.” training knows that I’ve paid a LOT of attention to how Pinterest pages rank in Google. Because when your pins hit a certain authority for ranking in Pinterest search, they were featured on a certain type of page that Pinterest created for Google – and those Pinterest pages ranked like CRAZY in Google. Remember those 40,000+ Google searches every SECOND? Well guess what? Those Google searchers are NOT all Pinterest users! Well, I got my answer this week. Google rolled out a BIG update – and Pinterest got nailed. But what I’m about to talk about next has NOT been confirmed by Google, by anyone at Pinterest, or by anyone (that I’ve found so far). Here’s what I think happened to Pinterest in this March core algorithm update Google confirmed. In the Fall of 2015, Pinterest really started upping their “SEO game” – and it worked great for them. In late 2016 or so, Pinterest upped their game again with their “explore” pages (landing pages they made just for Google) and got a HUGE boost in the number of keywords they rank for in Google. See how WELL that all worked for Pinterest? Ranking for over 68.8 MILLION keywords! And for BIG, highly-searched keywords too! But now me draw your attention to that “little” dip there at the very end of that graph. Don’t be deceived – it’s NOT little, by any means! This brings me to the part that I could not believe Pinterest was getting away with on Google. Ready – here’s how it went. That is called “Gated Content” – it forces those Google searchers to either log in to Pinterest or forces them to SIGN UP FOR A PINTEREST ACCOUNT in order to see or do anything else. Now, Google searchers CAN hover over a pin image and click the url that is attached to that pin. In other words, if it’s YOUR pin, a Google searcher CAN easily click the pin url and go to your blog/site. Believe it or not, we Pinterest Marketers got a LOT of traffic from Google searchers that very way. But if that Google searcher clicked ANYTHING else on that page they found through Google, they were forced to log in or create a Pinterest account. That blue arrow shows how a user can hover over a pin image and go straight to the external blog/site that pin is from. But notice that big red “view” button? It’s deceiving because you think you’re going to VIEW the web page for that pin… but nope, you’re forced to log in or create a Pinterest account. How many NEW users do you think Pinterest accumulated from ALL that Google search traffic? How much traffic do you think YOUR site received from Google searchers clicking your url on your well-ranking pins? Have you, as a Pinterest Marketer, really LOOKED at your analytics lately to see WHICH pins have slowed down traffic-wise… or come to a grinding halt? How Badly Did Google Slap Pinterest? I’m going to share some visuals from this ranking tool so you can really SEE what’s going on. But I need to explain what you’re about to look at. This graph depicts a day by day Gain and Loss of keywords ranking in Google for the Pinterest.com site. The blue is NEW keywords. The red is LOST keywords. Now, this does NOT mean that their rankings improved or declined – it DOES mean…. Blue: NEW keywords that Pinterest just started ranking for. RED: Keywords Pinterest does NOT rank for AT ALL anymore. The graph below is over the past month. Notice that the bottom indicator line on that chart means 5 MILLION keywords – and how the red bars go further down past that 5 million line for the past few days. 5 MILLION keywords LOST on those days. This is a BIG hairy deal! Just to illustrate this further, I pulled a report of Pinterest’s LOST keyword rankings in Google that have the word ideas in the keyword phrase. Those were the MAGIC and MONEY keywords for Pinterest – and big traffic keywords for many Pinterest Marketers. Here’s a little snippet of that report I ran for just keyword phrases with the word ideas in them. In blue is the keyword phrase. The Volume column indicates average monthly search volume. The number in parenthesis shows what the ranking USED to be for that keyword. For example, from that image above, let’s use fundraising ideas. That keyword phrases is searched for, on average, about 74,000 times a month. Pinterest USED to rank #10. That keyword phrase is searched for an average of 60,500 times a month. Pinterest USED to have a /explore page ranking #5 in Google for that keyword phrase. Now that Pinterest page does not rank at ALL. You might still see pin urls ranking or board urls ranking… but those /explore pages are disappearing. And then it snowballs into a BIGGER mess! For example, that one /explore page in Pinterest that was ranking for fundraising ideas – https://www.pinterest.com/explore/fundraising-ideas – that url ALSO ranked for a LOT of other keywords on that topic… and those rankings are ALSO all disappearing on Google. I’m tellin’ ya, Pinterest enjoyed MASSIVE exposure on Google for a long time. And we Pinterest Marketers sure have enjoyed “piggy-backing” off that exposure in Google. I feel as if Pinterest knows something is up (I sure hope they do!) because I see some changes. While that complete content GATE does still exist in some situations, I’ve noticed more and more ranking Pinterest urls having more of a “nag” then a complete wall that FORCE users to log in or create a Pinterest account. I’ve also noticed many ranking Pinterest urls that have that WALL the FIRST time you click, but after that, it turns into a “nag”. Yep, a top bar that “nags” you to sign up/log in – but doesn’t FORCE you. You know, like Google Chrome nags the heck out of you when you use Internet Explorer? Even though Google is all about User Experience, a “nag” is NOT a “WALL” (like Pinterest has been doing for quite some time). A “nag” doesn’t FORCE a user to take an action – it just… well, it just nags the heck out of you until you either DO it…. or stop using the site/tool that is nagging you. I feel that if Pinterest STOPS with their Gated Content WALL strategy, that Google will bring their rankings back – eventually. It appears as if Pinterest is already making some adjustments – hopefully because they are well-aware of this situation. Yes, Google is GREAT for bringing traffic to HELP build your business, but I really don’t think Google wants THEIR customers (ie, Google searchers) to be FORCED to build YOUR business. To me, it’s either “bye-bye wall” for Pinterest… or “bye-bye Google traffic” (AND all the new users that traffic will still bring). If I owned Pinterest, I’d be tearing that wall down SO quickly! So, if you’re a Pinterest Marketer, wondering what happened to those pins that USED to send consistent traffic – this is what I firmly believe has happened. ‘Holy WOW’ Indeed!! Thank you so much for this extensive insight, Jennifer, what an eye opener. Your content continues to blow me away and has helped me REALLY understand (not as well as you) how Pinterest works for Pinterest Marketers. I am so so so glad I took your P.I.M.P Course because this post would not have made sense to me otherwise!! Truly Thankful!!! This is super interesting. Thanks so much for sharing. We’ll have to see how Pinterest responds. Wow Jennifer! This makes so much sense! You are amazing at all these techy stuff. Have you noticed how google search looks more similar to Pinterest in the last update? I really hope Pinterest sorts themselves out as quickly as possible! I truly hope other sites are paying attention!! I get so annoyed when they try to force me to sign up. Amazing post and holy wow! is right. It would seem to me that Pinterest would know better than to use Walls or nags. Wondering how this will continue to unfold as more “updates” roll out. That fickle Google is always up to something. On the bright side though it might be nice to finally be able to rank with my blog and not just my pinterest boards. This is super interesting Jennifer! The nag cracked me up! But I’m really curious to see how this all plays out! Thanks for the great info! This is literally GOLD! My traffic took a slight dip last week but I really did not think much of it. This is awesome reading and makes alot of sense! Thatnks for sharing! Awesome! Thanks for sharing the scoop!! Wow what a fantastic post! I saw a drop in my Pinterest traffic mid/early March. This was despite working harder than ever to produce content and on my pinning strategy (I bought your course and implemented alot of it, thanks it was awesome!). Traffic has recovered a bit now though but that is just because I am running the new 7×7 strategy, I think. Thank goodness someone has finally explained this!!! I have been asking in various forums for weeks what is going on with Pinterest traffic. Everybody kept saying “Oh, you newby, it’s just seasonal ebb and flow in Pinterest traffic…” or “Pinterest must have changed their algorithm again…” I knew something else was going on, but I’m NOT a techie, and I don’t know how to see this kind of stuff enough to know what’s happening. I knew something was happening, and I was right! I’m not crazy. Oh my goodness, now I understand what happened. Thank you for sharing Jennifer! I don’t use Pinterest but this was still very useful. A lot of newspaper sites do the same trick. Thanks for explaining this, I sure hope Pinterest clean their act up. NOBODY messes with Google!! I’ve been reading your blog for Pinterest tips since I bought the PIMP course. I can definitely say that I’ve learned a lot from you about Pinterest. While I haven’t noticed a huge increase in traffic from Pinterest, but then I really wasn’t getting a lot of my traffic from them. For the past month, I’ve finally started noticing more traffic from Pinterest. I hope that it continues because it’s taken me a while to finally figure things out. I’ve also been working on optimizing my pins for both Pinterest and Google. After all, why would you want to work so hard and not focus on both of the platforms? Thanks for sharing these tips and I’ll be sure to keep an eye on my Pinterest traffic. LOVED this post! I’ve noticed a dip in traffic but everyone advised that it was normal for this time of the year. I started to up my SEO game just in case there was some huge change and now I’m glad I did! so it’s the end of pinterest marketer? As always, a super enlightening read. Thank you for going into this in such detail. REALLY helpful! Thank you Jennifer for sharing this…it all makes perfect sense now. BTW- your 10 Steps rocks (and the 1644 tracking strategy too!) I’m a huge fan and owe a lot of my success to you! Awesome post! My traffic has dipped more than 50%. What’s even funnier, is one of the terms you used as an example in the screenshot, was an exact term I was getting Pinterest traffic from. This same thing happened to eBay a few years ago. It didn’t kill eBay but it really did sting! 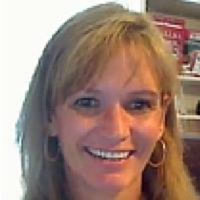 Thanks for sharing, we can always depend on you Jennifer for our online businesses! Thanks a million for all you do! I just bought 1644 and I use the same thing, just didn’t know how to get infor from it. YES! Next I’m getting your SEO training, even though I said I wasn’t buying ANYTHING this year. Oh well!! Ah ha! No wonder I saw an explore page for a topic I was getting ready to write about one day and the next day it was gone. Makes perfect sense now. Thanks because I have been puzzled. I loved your Advanced Pinterest Training and can’t wait to take more of your trainings. Like you, my first thought when I noticed the forced sign up was, “how long can Google let this go on?” But then I thought, perhaps they are Pinterest and don’t really need Google. Some genius in Pinterest should get fired. Even mediocre SEOs like myself know that big G hates this kind of stuff. Great rundown of what happened – I always dislike running into those gated Pinterest pages, so a lot of times I would go immediately back to the search results and find something that wasn’t gated. I could see how that might happen on a mass scale and get Google’s attention. Great research! My blog is about 1.5 yrs old and I noticed a big jump in Google traffic and a dip in my Pinterest traffic. Thanks for explaining it. I hope I can regain my Pinterest traffic and retain the Google traffic. I was very happy to get a lot more organic traffic! This is the perfect example why you should ALWAYS diversify and never focus on one source of traffic. Several years ago, thousands were using Squidoo and Ezine Articles as their traffic sources. Google slapped both of these portals and they disappeared off the face of the earth. Not sure about the future of Pinterest. Thank goodness I did not jump on this bandwagon!! What a great read! As someone who specializes in SEO but also gets a good chunk of traffic from Pinterest I’m on both sides here…for smaller websites who just can’t compete with big authority sites, having Pinterest land in the first spot of Google for them and direct users to their site is huge. At the same time, it reaaaally lowers UX to have to sign up to view something. I can say that my Pinterest account hasn’t slowed down, it’s been growing steadily but I also don’t think I’ve been one of those people who have been getting any traffic through Google on Pinterest. I don’t think my pins have gotten that type of authority yet.. It will be interesting to see where this goes! Awesome. Thanks for sharing. I was beginning to learn how pinterest works and trying to drive traffic from it. I was browsing some Facebook groups when i saw a link to this blog. This should give me a head ups. I am one of those people who refuse to sign up on a site just to read their material. I am already a Pinterest user, but I chose to sign up on my own. They would have lost me with their wall. I kept on wondering why my traffic from Pinterest would not pick up in March. Thank you for explaining Jennifer this really explains a lot. I expect things will change and will change fast. Pinterest benefits from traffic as much as all of people using Pinterest for sharing their content and the traffic it creates.